To begin with, her ultra-soft faux leather in deep shades of charcoal and plum is sultry and alluring. 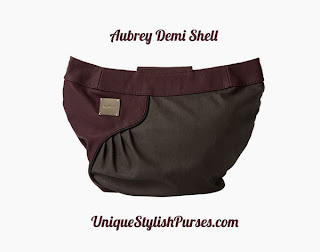 Add in clever asymmetrical styling and perfectly-placed pleats and the Aubrey for Demi bags becomes absolutely irresistible! Where will she take you? Back zippered pocket. Oval-bottom slim design.